Special squashes by Kulinar are aimed to be sold to the children and young parents so we did special funny insect characters for each squash and hand illustrated labels for this products. We also designed bottle shape and print materials to support the brand of these natural squashes. 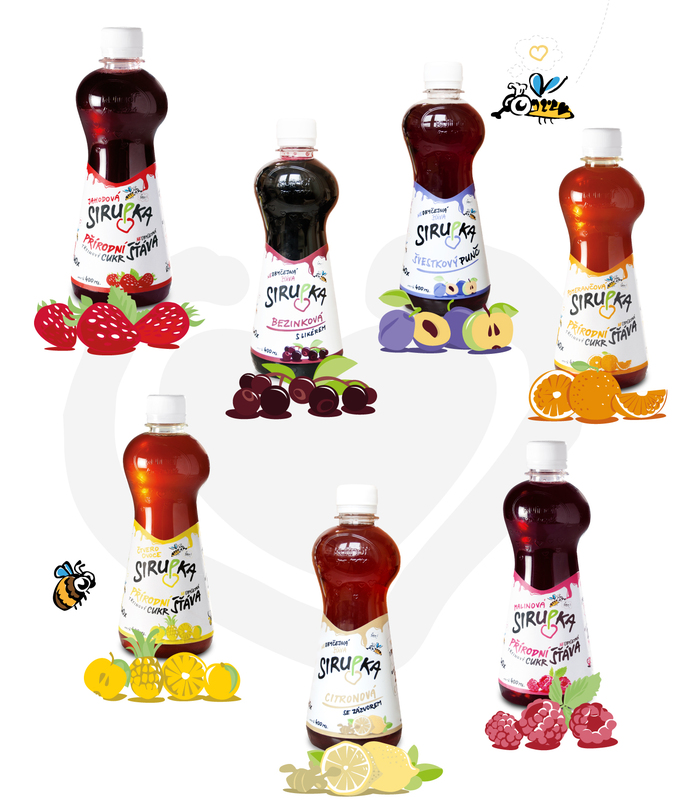 In the winter 2014 special winter edition of new three flavours: Plum and Apple, Lemon with Ginger and elderberry was released.